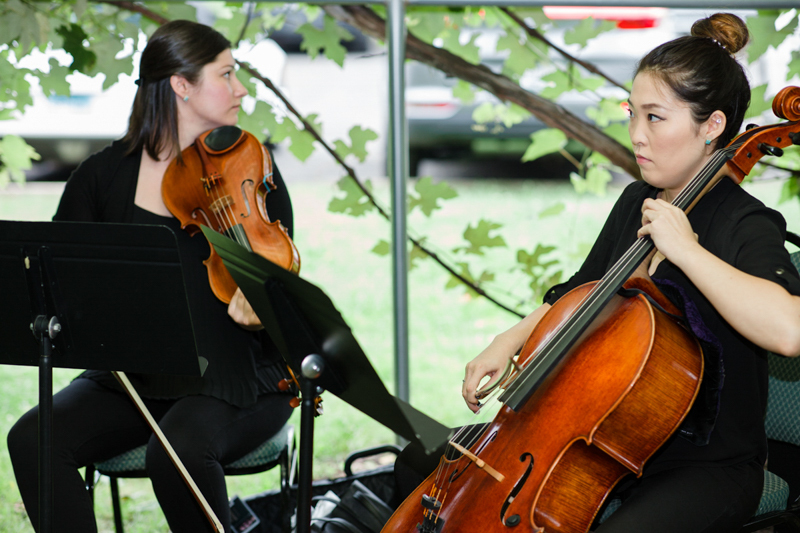 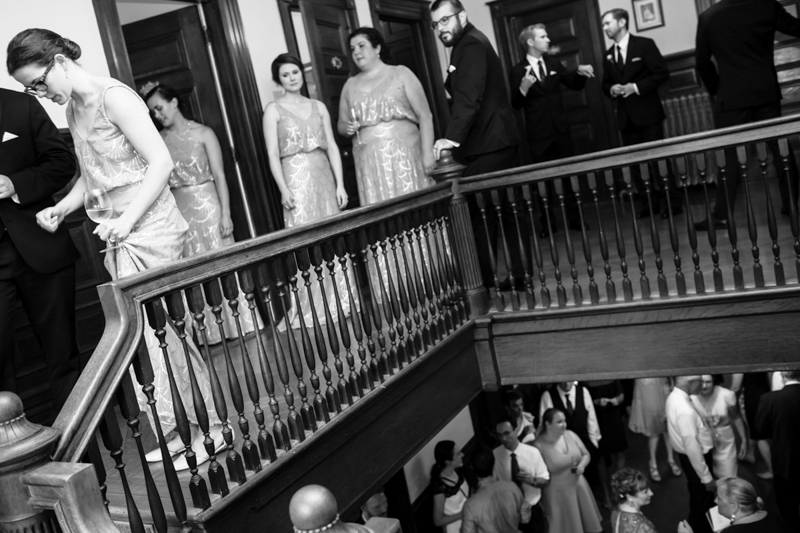 August was a busy month for weddings for us at Tarrywile Mansion. 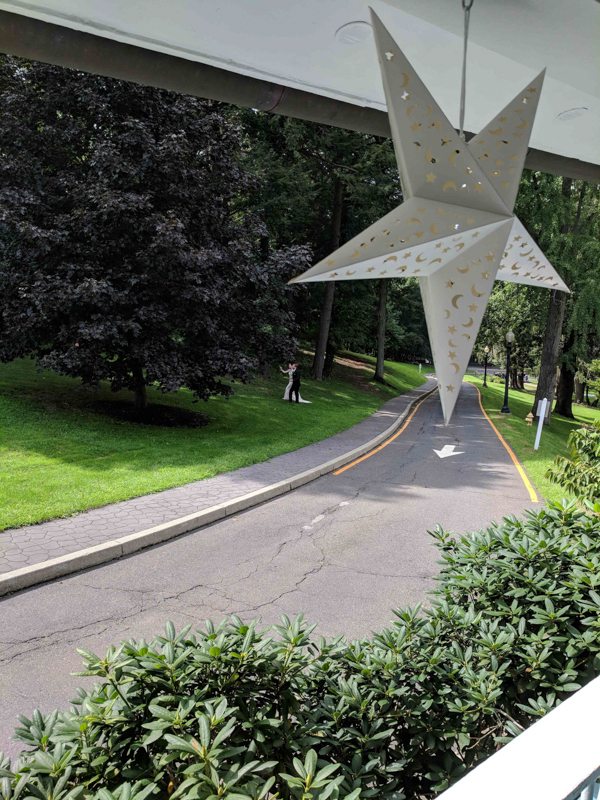 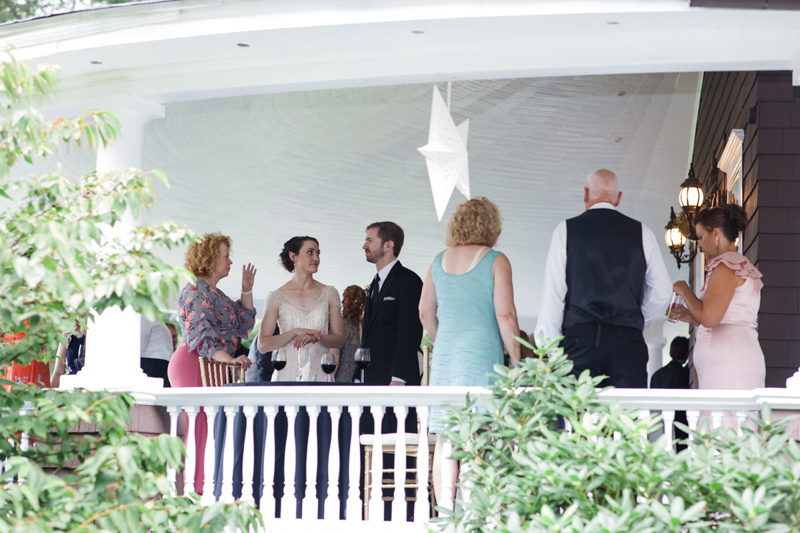 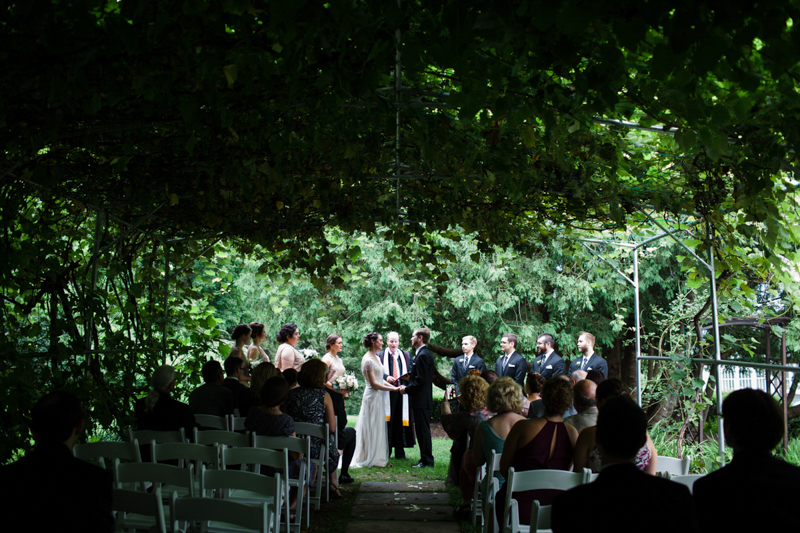 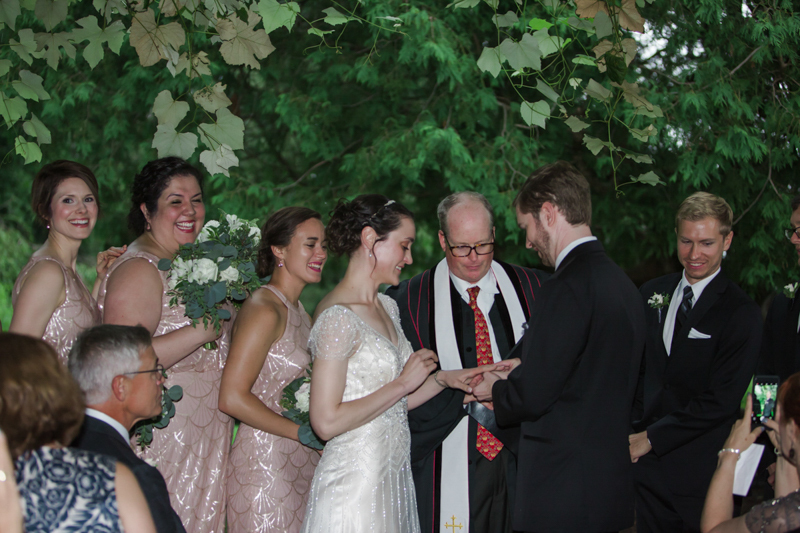 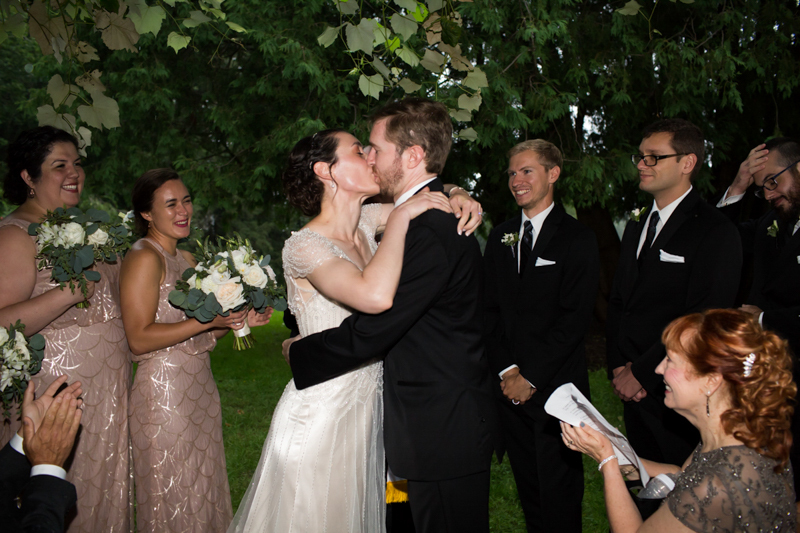 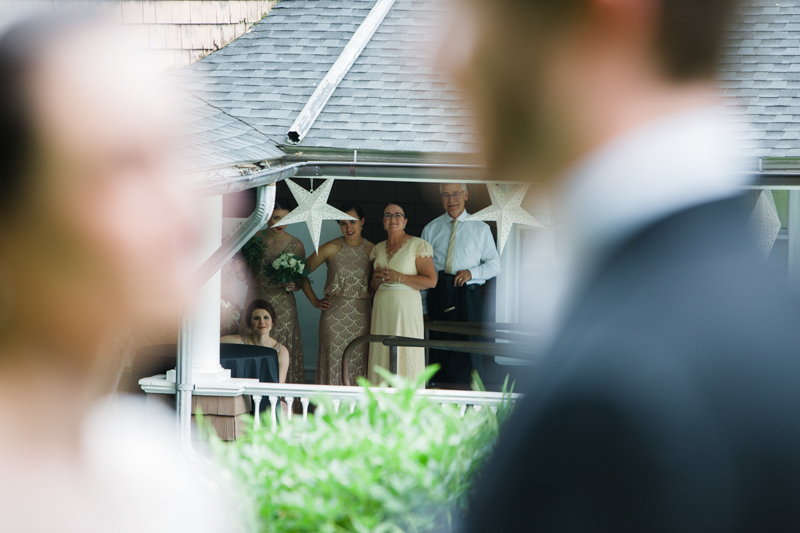 Katherine and Matthew were married on August 18th with their wedding ceremony celebrated under the lush grape arbor, with 66 of their closest friends and family in attendance. 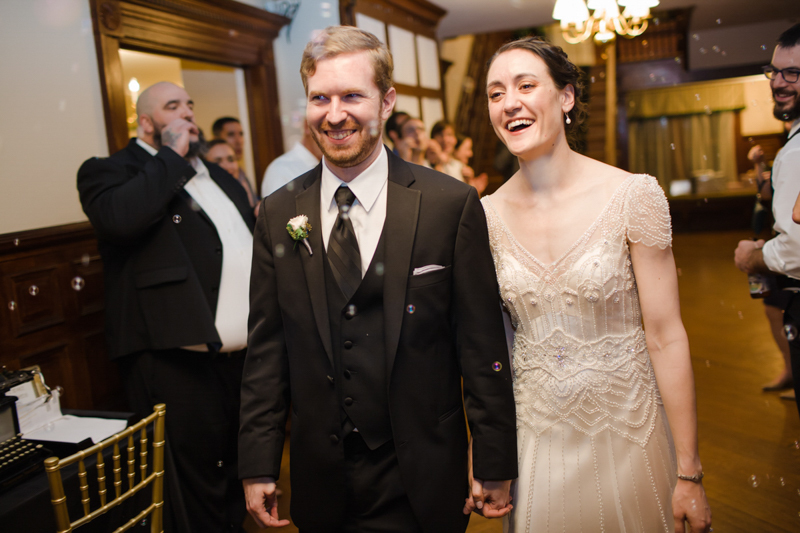 This lovely young couple came to us from Hamden, CT, looking for a wedding venue that reflected the vision of what their wedding day would look like, and Tarrywile Mansion fit the description beautifully. 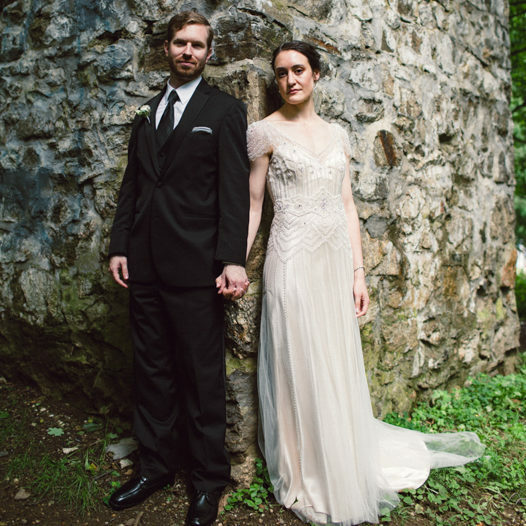 The couple wanted their wedding day to reflect classic elegance as seen in the Art Deco style of the 1920’s. 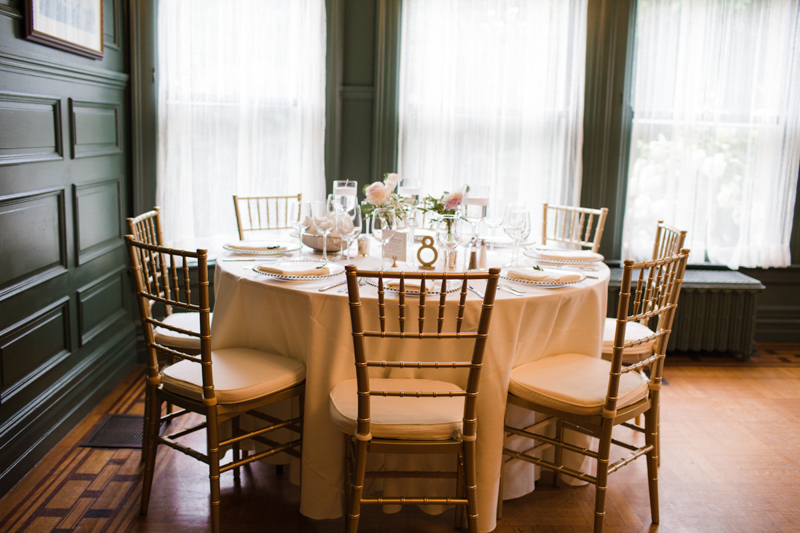 The architecture of the mansion was a perfect match to the early 1900’s style, with finely crafted woodwork, graceful chandeliers and floor to ceiling windows. 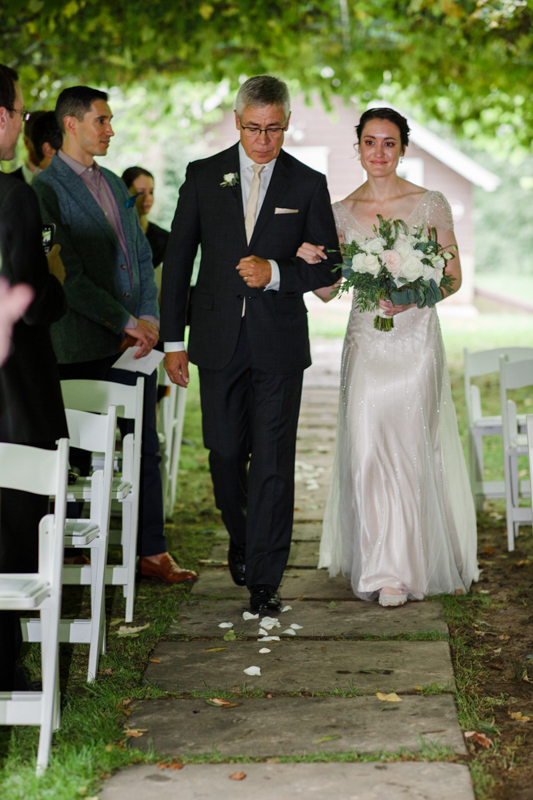 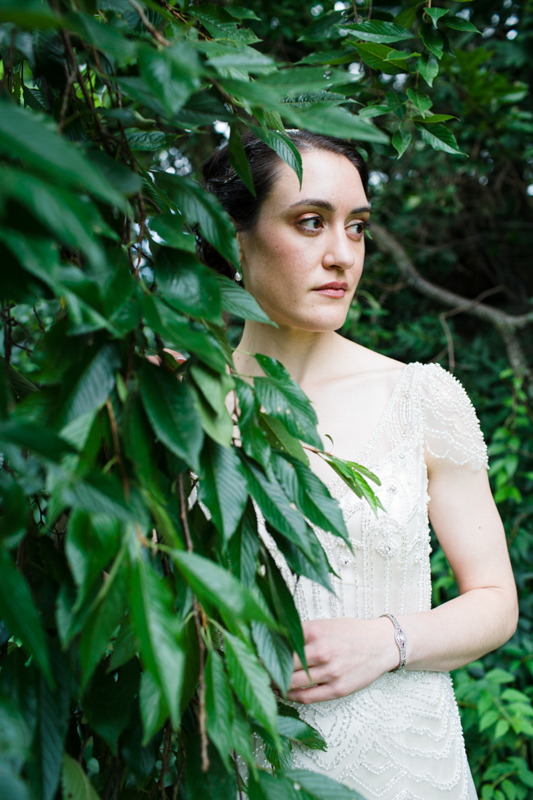 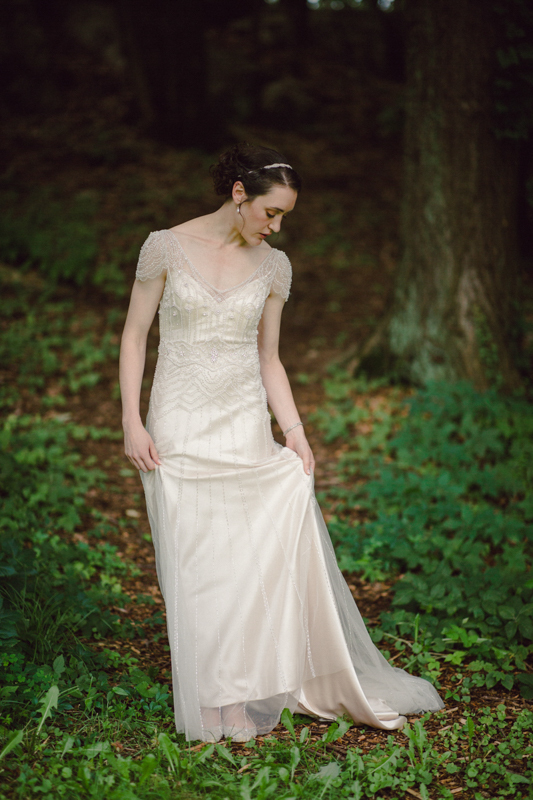 Katherine walked down the aisle under the protective cover of the grape arbor in a shimmering, vintage style dress carrying a bouquet of white roses with one soft pink rose as accent. 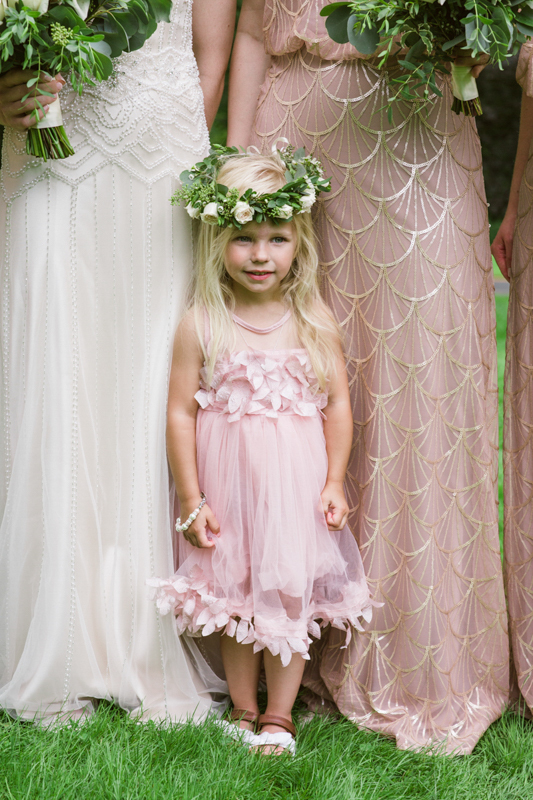 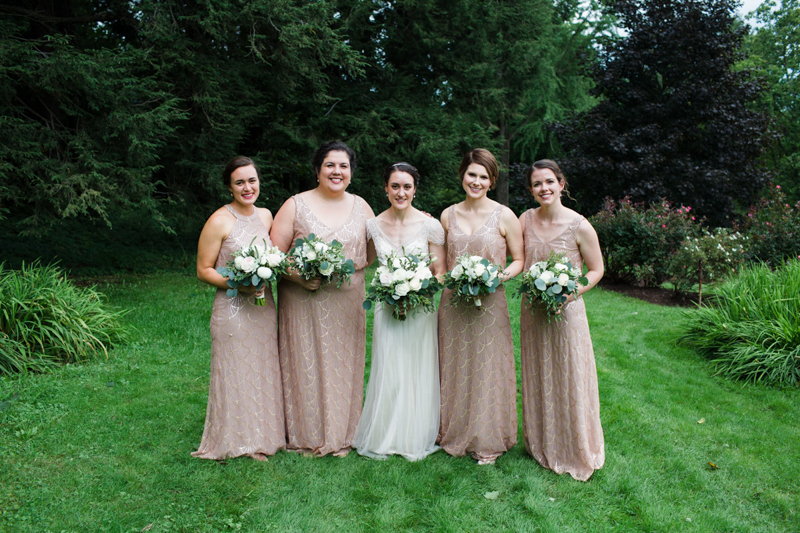 Her bridesmaids were dressed similarly in shimmering gowns in pale champagne pink. 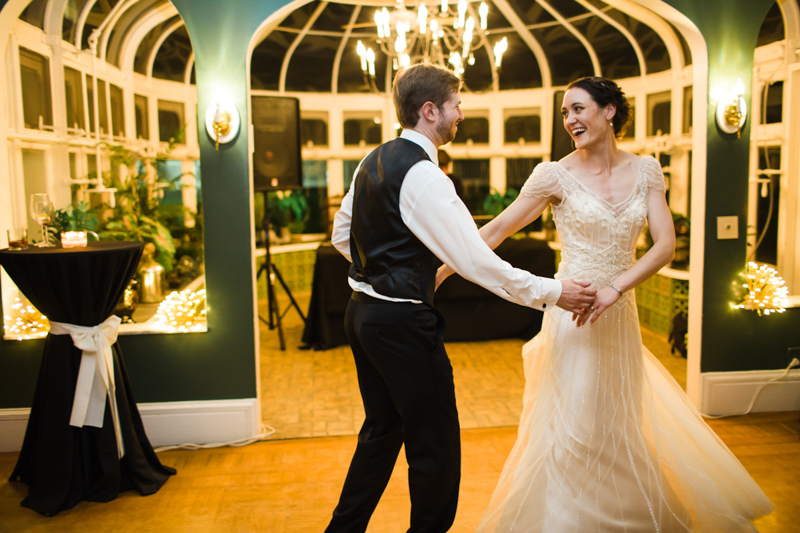 Katherine rented the Mansion for two days so she could be sure it would be available for decorating and the wedding rehearsal. 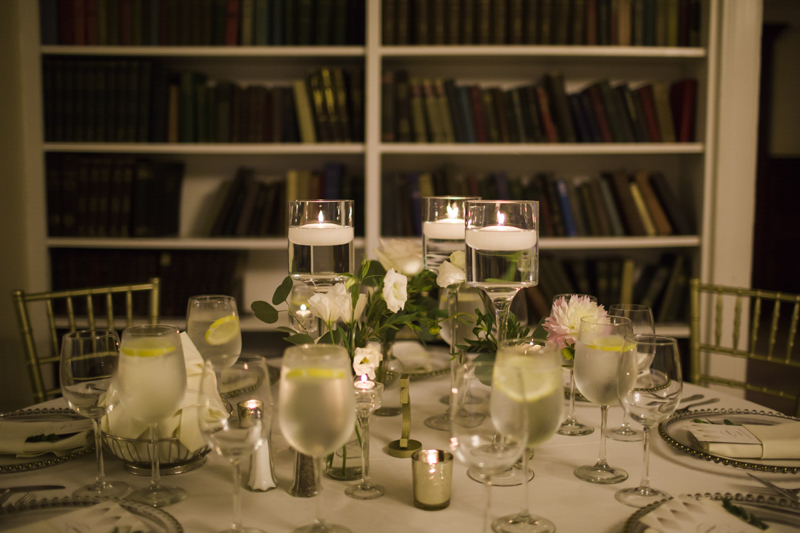 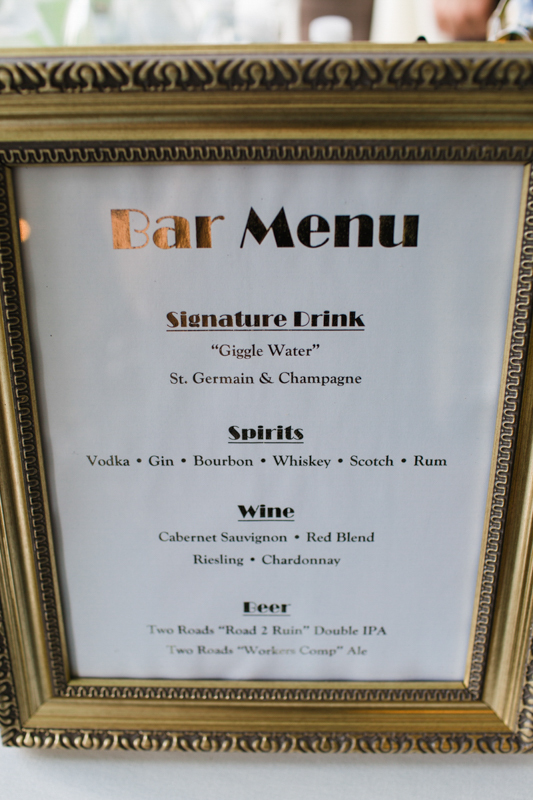 The decorations were simple, yet reflected the Great Gatsby Era. 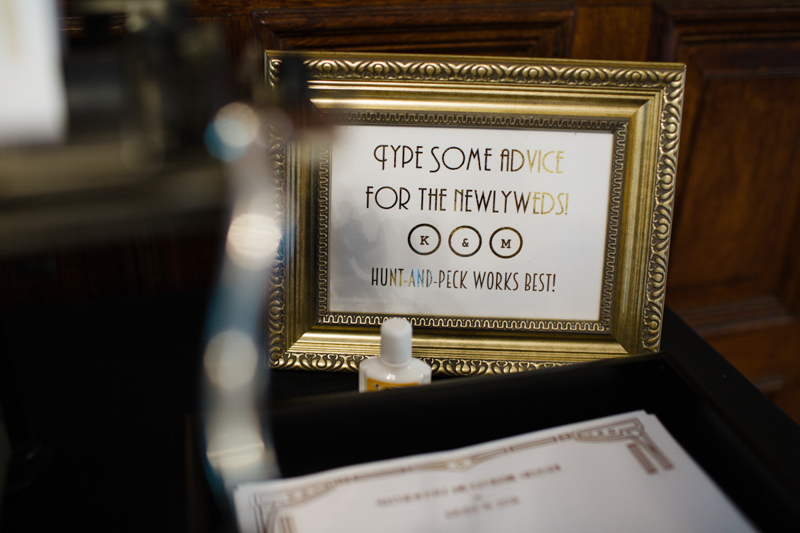 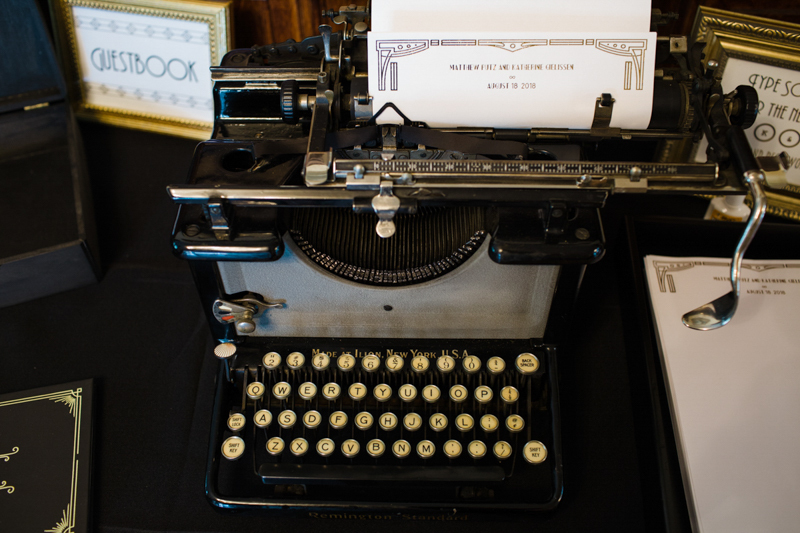 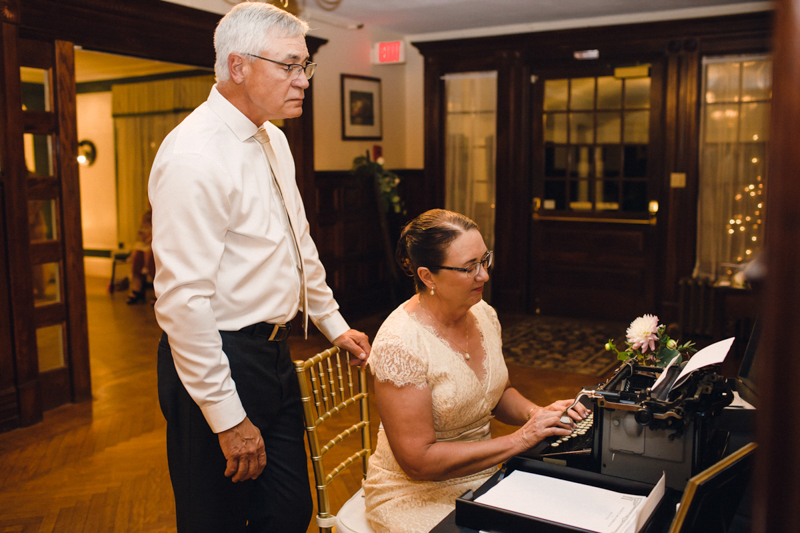 Set up in the foyer was an old fashioned typewriter with instructions to “hunt and peck” some advice to the newlyweds. 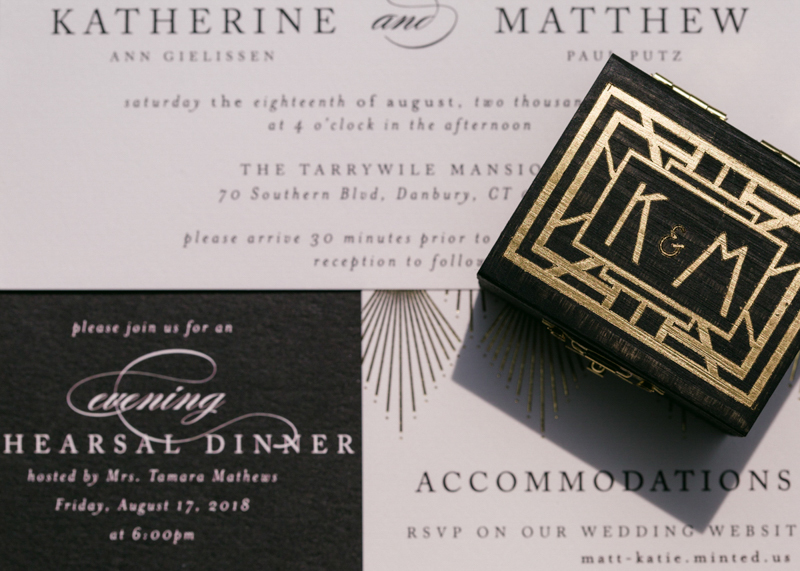 Their invitations and wedding favors reflected the type set of the time. 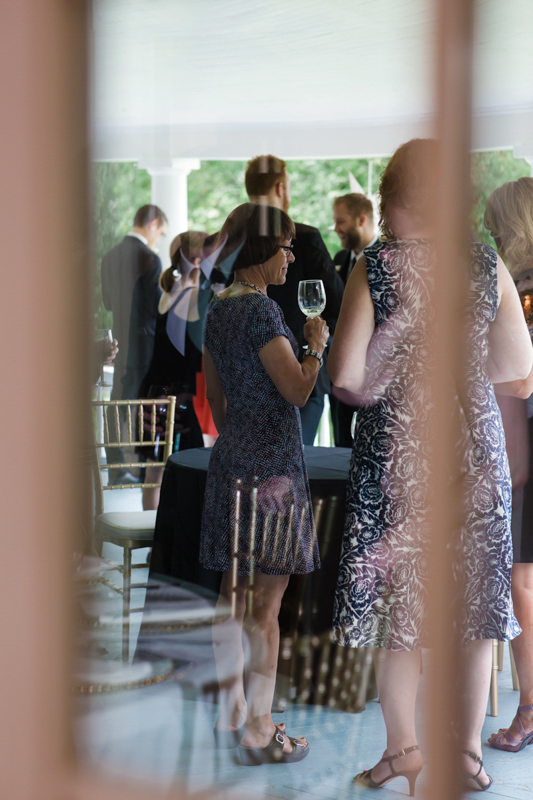 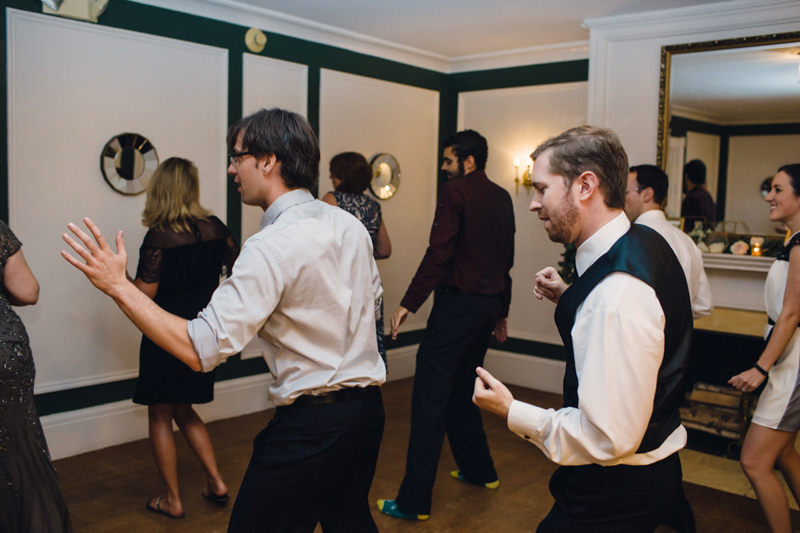 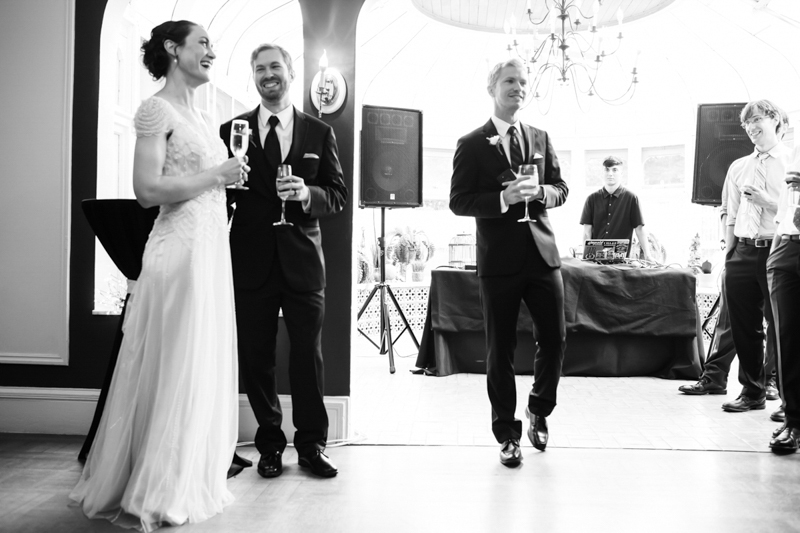 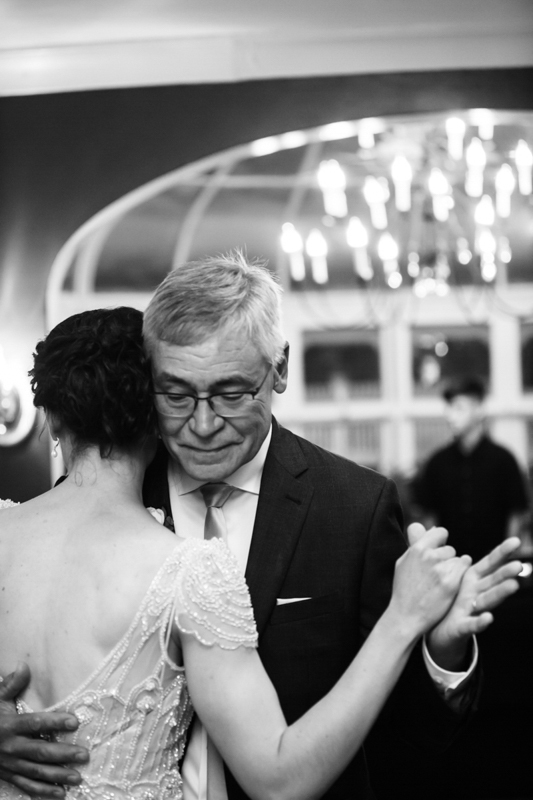 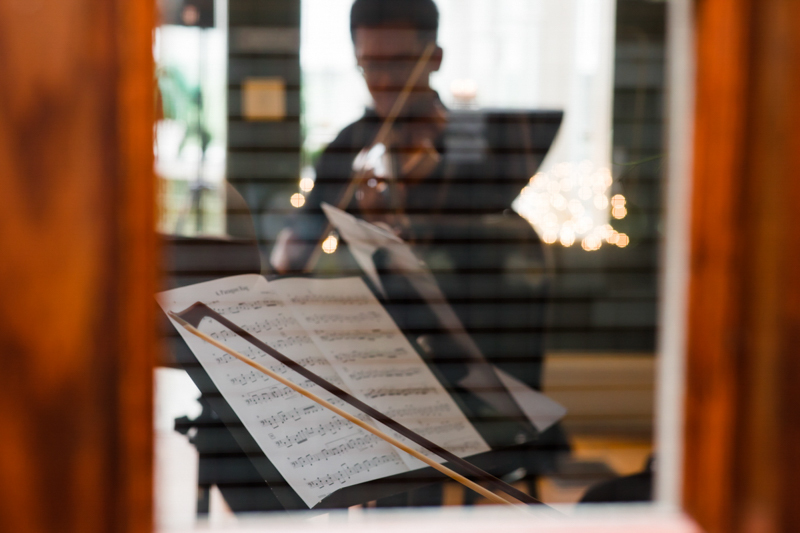 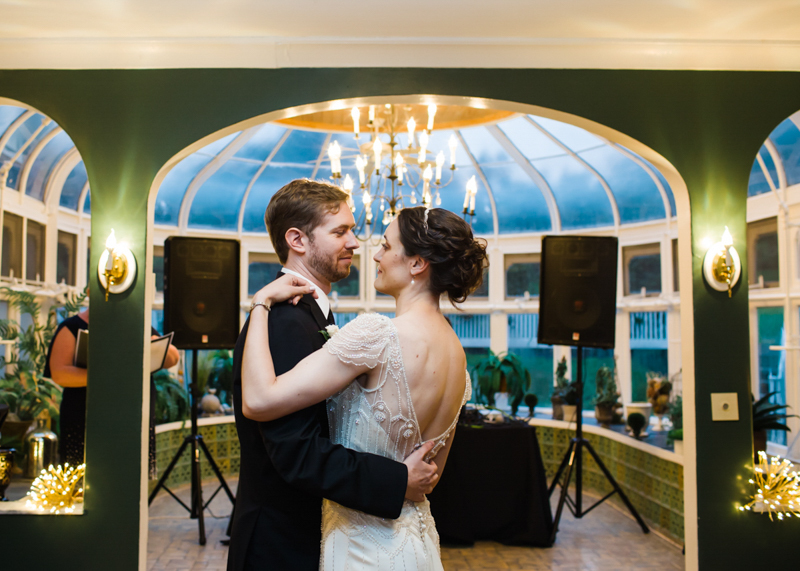 They were able to arrange their floor plan to direct the flow of their guests with cocktail hour on the veranda, guest dining in the library, living, and dining rooms, DJ Anthony Gloria was set up in the conservatory, with dancing in the formal drawing room. 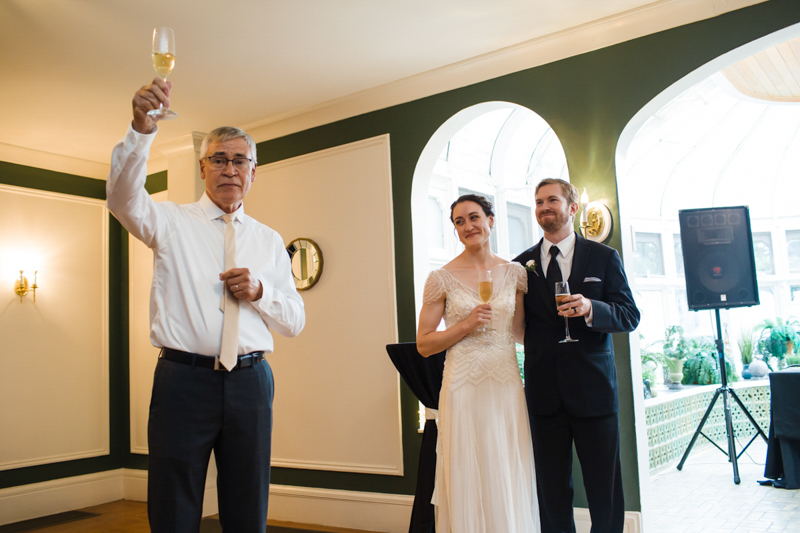 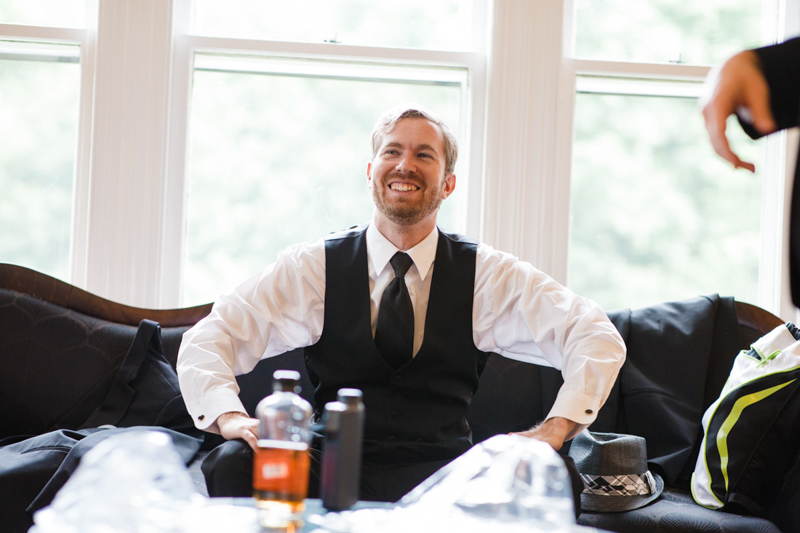 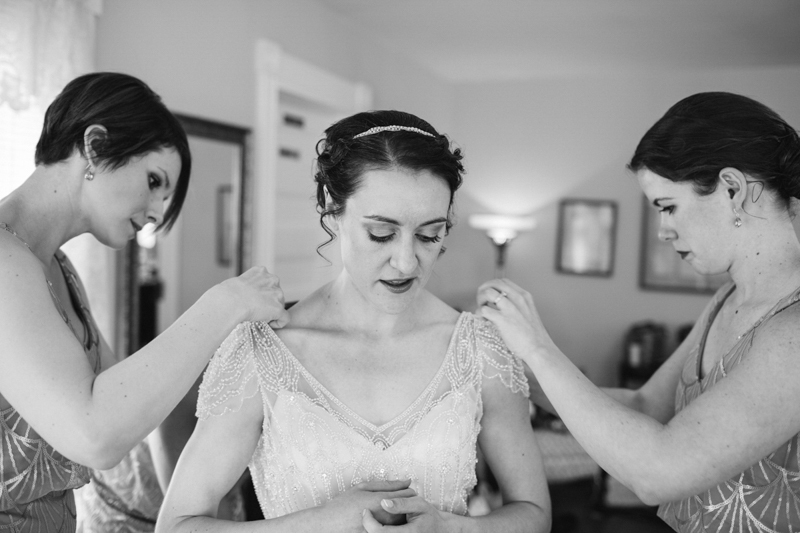 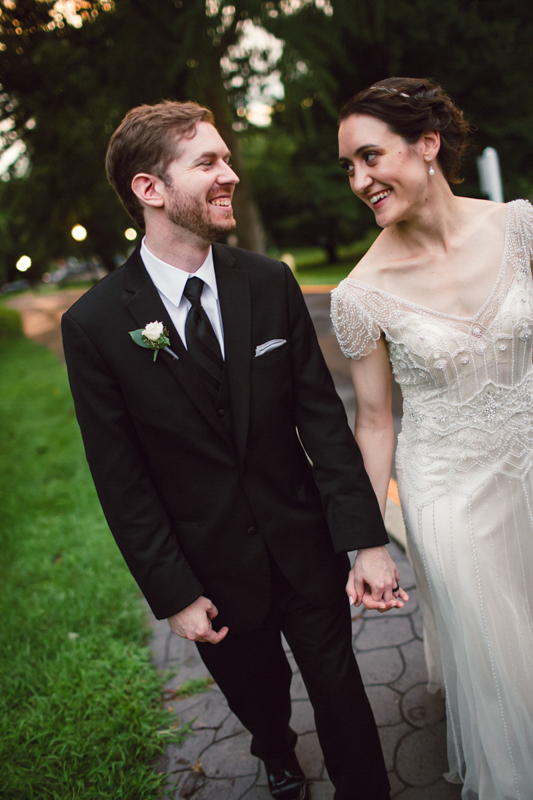 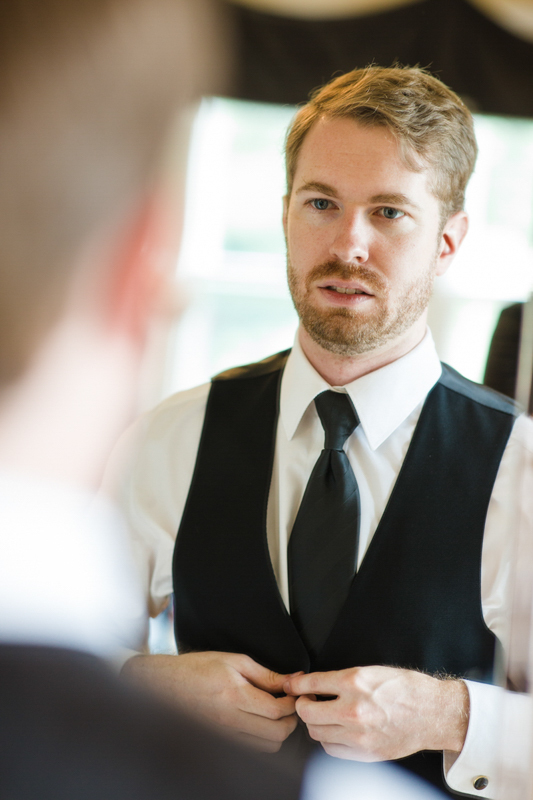 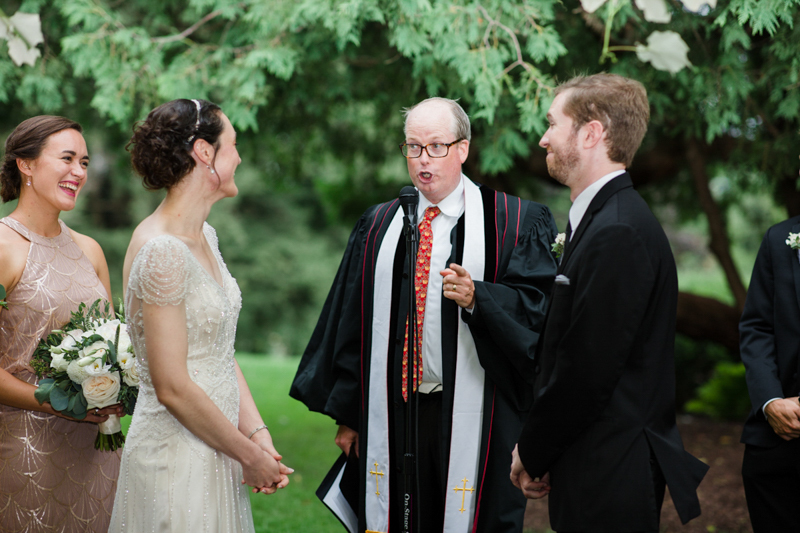 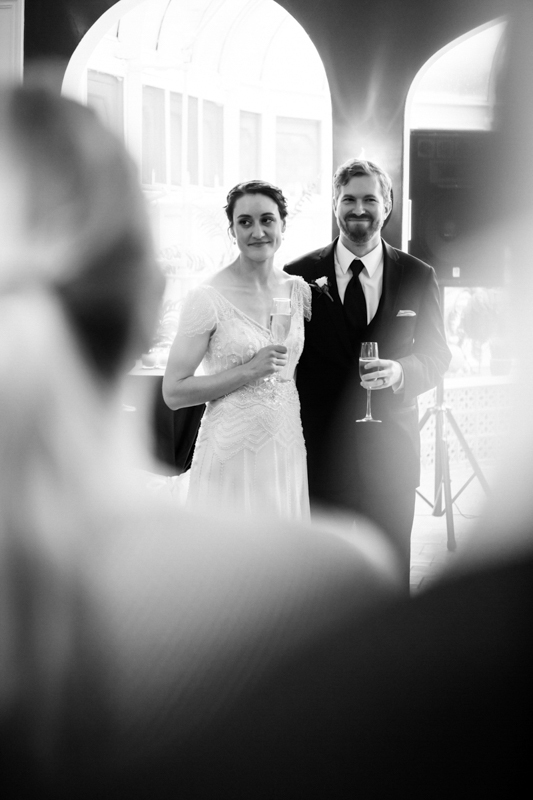 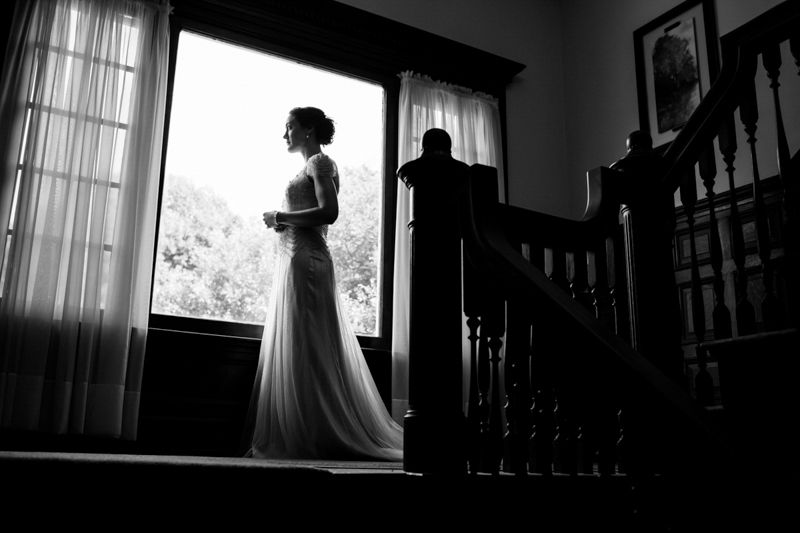 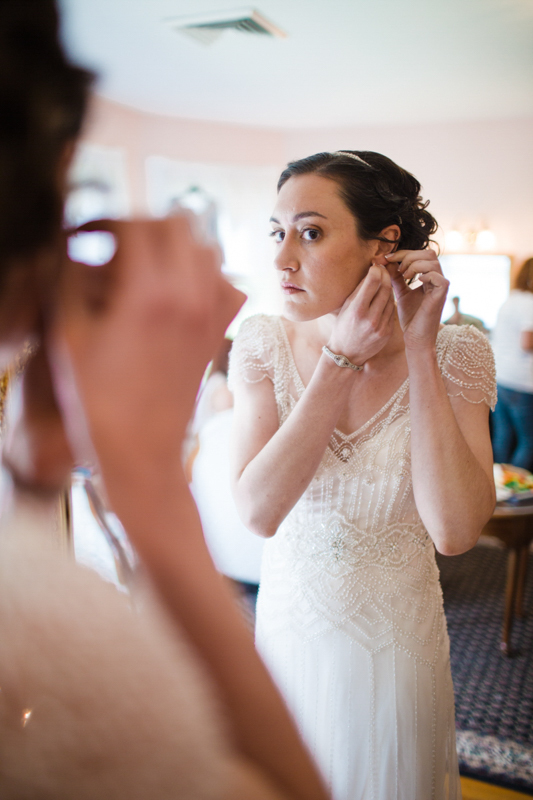 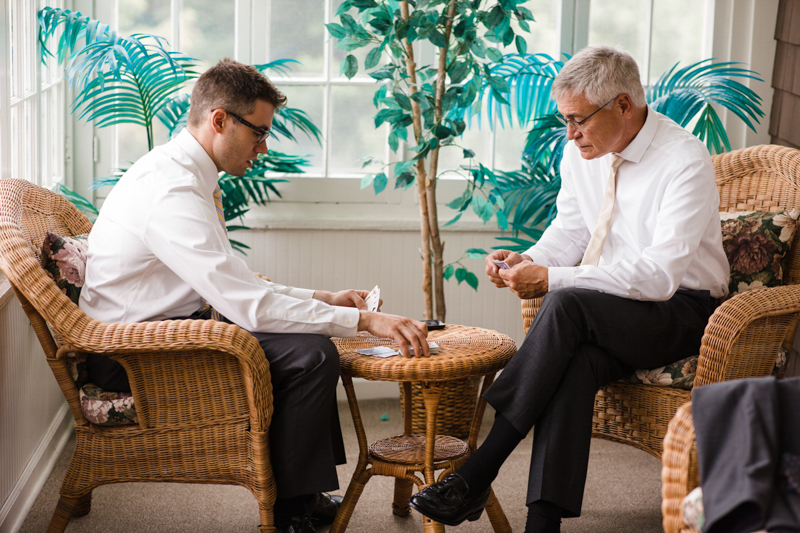 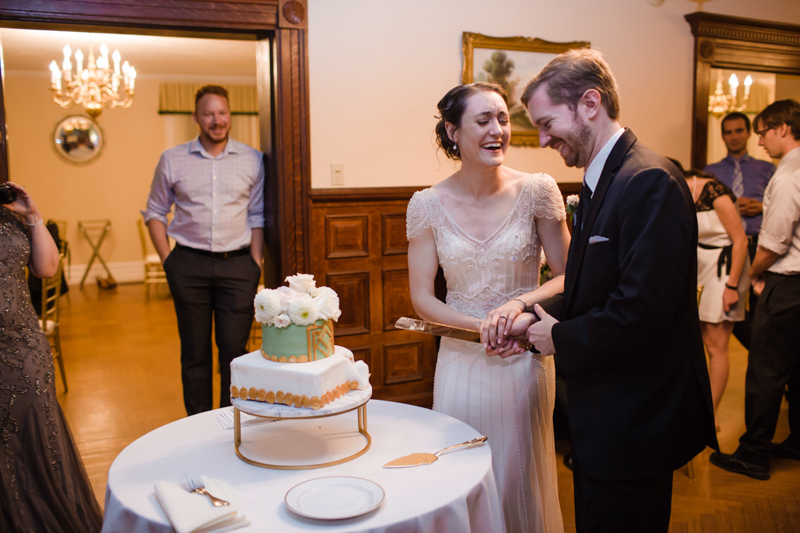 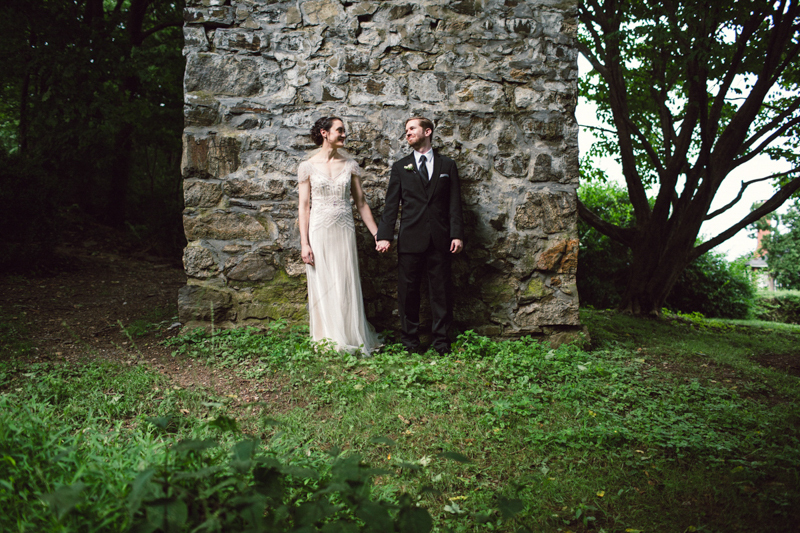 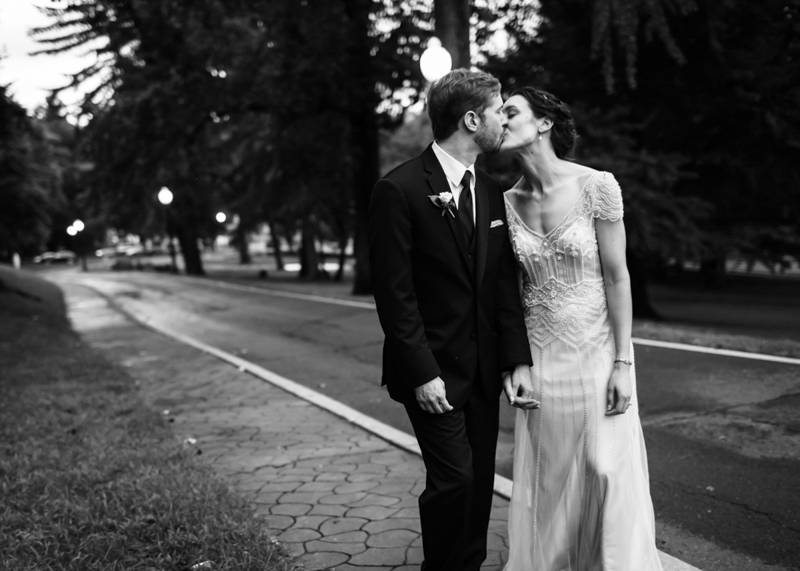 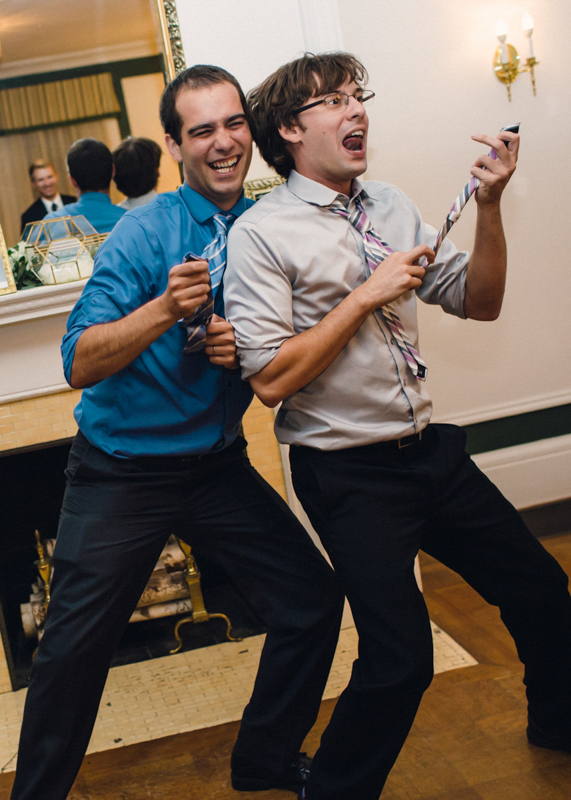 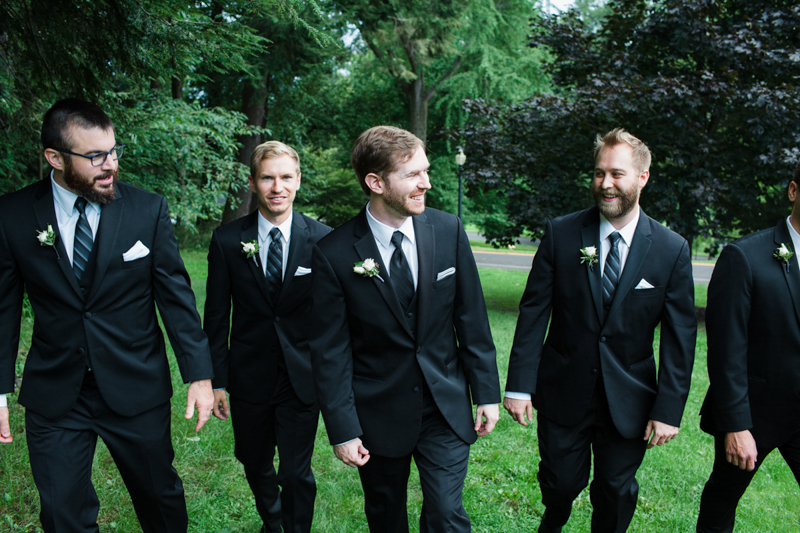 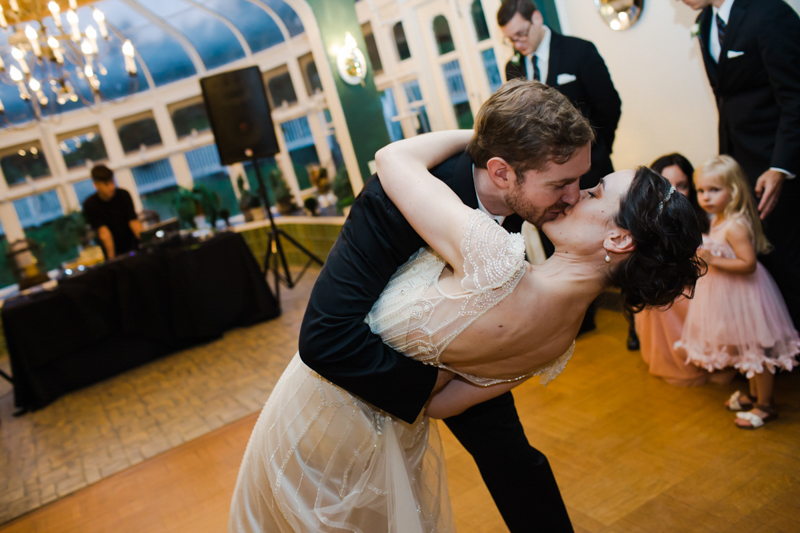 Thank you to Adam Garelick and Katie & Matt for sharing their wedding photo’s with us. 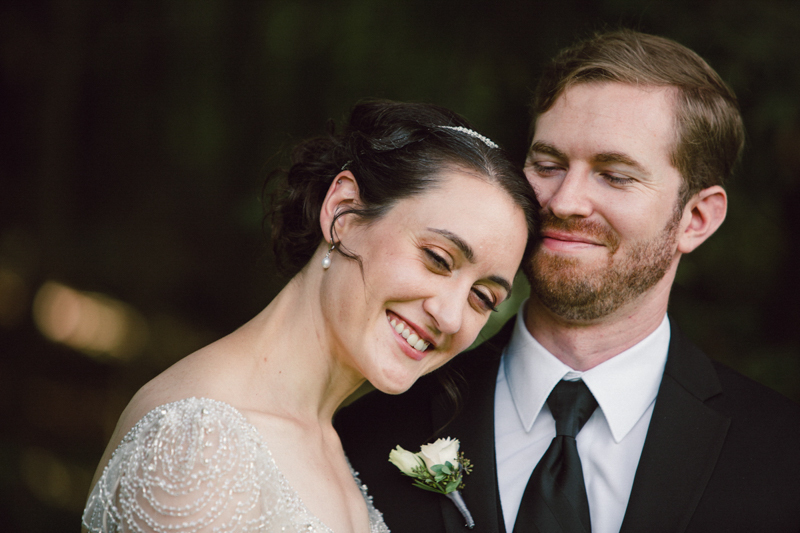 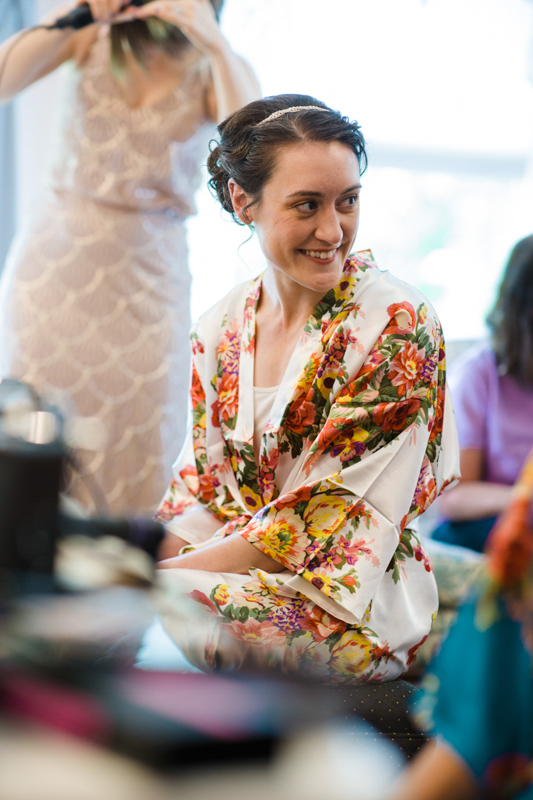 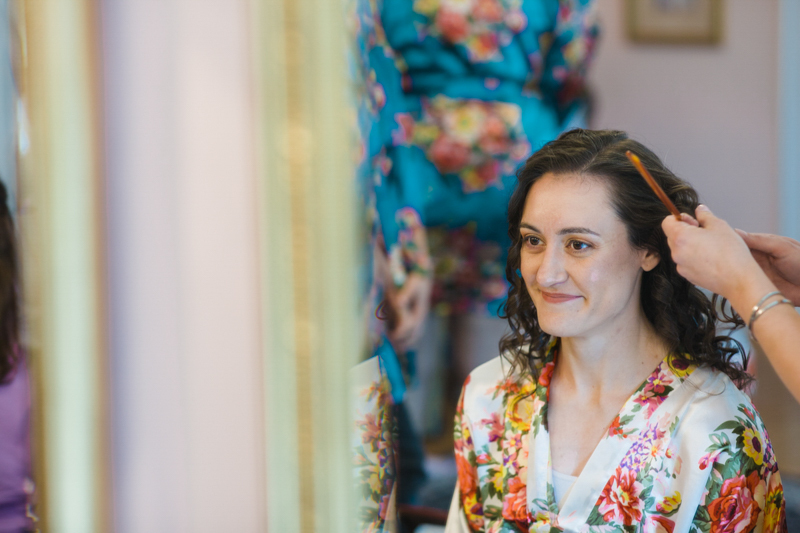 Go to my wedding blog to read the finer details of their wedding day; Katherine & Matthew.